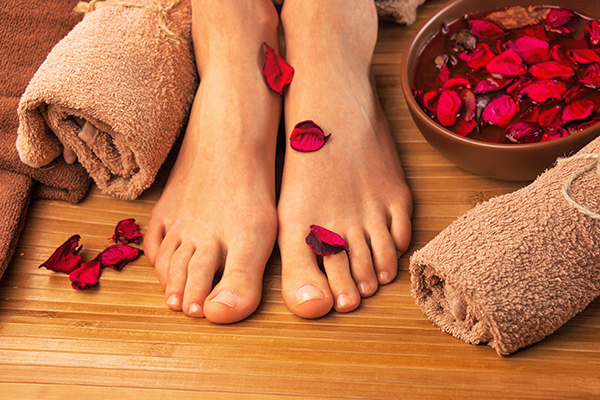 Your feet have been long awaiting for this rejuvenating pedicure. Say ahh… to a warm whirlpool soaking with Mineral Herbal Bath. Then a gentle massage and Walnut Husk Liquid Body Lufra exfoliation. While regular pedicure components are tented, a calf massage with the Invigorating Icedancer and steamy towel wrap are added for restoring vitality and energizing the legs. Dry heels are also treated with an all Spice Berry Sole Solution. Finish with a soft yet intense hydrating Baobab Butter for an ultimate experience.